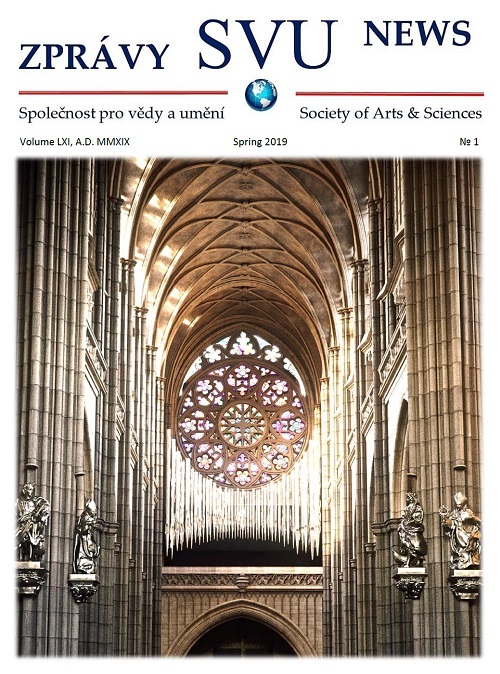 The Czechoslovak Society of Arts and Sciences is committed to promoting educational and cultural exchange programs, and is particularly interested in endeavors aimed at younger generations. The SVU is obliged and happy to share news and success stories of its members, and is proud to have the Prague Committee of Chicago Sister Cities International among its growing institutional membership! From October 26 through November 5, 2018, for the ninth time already students from Gymnázium Nad Alejí in Prague 6 participated in the Sister School exchange program with Walter Payton College Prep. Since the very first exchange, the Prague Committee provided accommodations for the teachers and sponsored various events and activities. This year, Mr. Edward Dellin, the Chairman of the Prague Committee, invited the Prague group to visit the offices of his investment company, William Blair. This experience was certainly one of the highlights of the program. 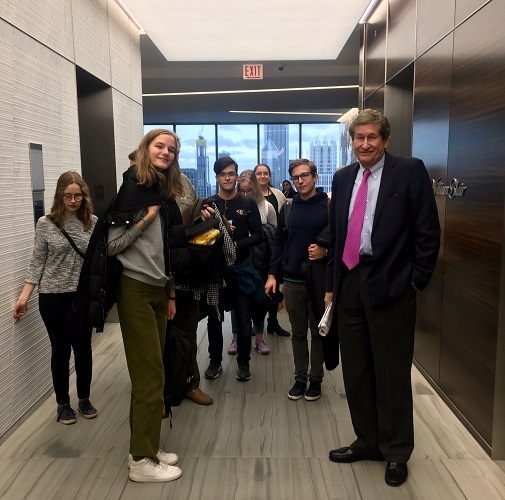 The Czech students were impressed not only by the excellent views of downtown and the Chicago river from the windows of Wiliam Blair’s brand-new building, but they were deeply inspired by Mr. Dellin’s personal story. Every year, Ms. Irena Čajková, who has been in charge of the Sister School exchanges from the beginning, takes the Czech students to the Pilsen neighborhood, where they learn about the important role of Chicago’s Bohemian population in the city’s history. Six years ago, Ms. Čajková also established a partnership between Gymnázium Nad Alejí and the T. G. Masaryk Czech School. Since then, the Nad Alejí teachers and students visit the community school on a Saturday and spend the day with the Czech-American children. In the past, under the guidance of their teacher Klára Braunová, the Prague students prepared creative workshops combining art and literature and focusing on important Czech figures or historical events. With the high school students’ help, the Masaryk children built robots, while learning about Karel Čapek, learned how to spray-paint while decorating the school walls with graffiti featuring T. G. Masaryk, Václav Havel, or the iconic Prague skyline, depicting the Prague Castle and Charles Bridge. In 2018, the Prague students joined the Masaryk School and the Department of Slavic Languages and Literatures at the University of Chicago to commemorate the 100th Anniversary of Founding of Czechoslovakia by planting a linden tree next to the Masaryk Monument on Midway Plaisance. Besides joining forces with the Masaryk School children and singing the Czech and Slovak national anthems during the ceremony, Nad Alejí students also prepared a short program highlighting the wisdom of the founder of Czechoslovakia by presenting his most famous as well as lesser known quotes both in Czech and English. Besides the Gymnázium Nad Alejí / Walter Payton College Prep exchange, the Prague Committee also helped establish a Sister School program between Academické Gymnázim Štěpánská and Northside College Prep. This exchange takes place every two years and the Prague Committee is looking forward to welcoming the Štěpánská students in Chicago in October ’19. While the Prague groups prefer to arrive to Chicago in October when the city invites them to enjoy a colorful autumn with still relatively pleasant temperatures and Halloween as an added bonus, both partner schools generally travel to Prague in March or April of the following year. Chicago Sister Cities International (CSCI), a division of World Business Chicago, advances Chicago as a global city and promotes peace through mutual respect, understanding, and cooperation through citizen diplomacy – one individual, one community at a time – for the benefit of Chicago and its sister cities. 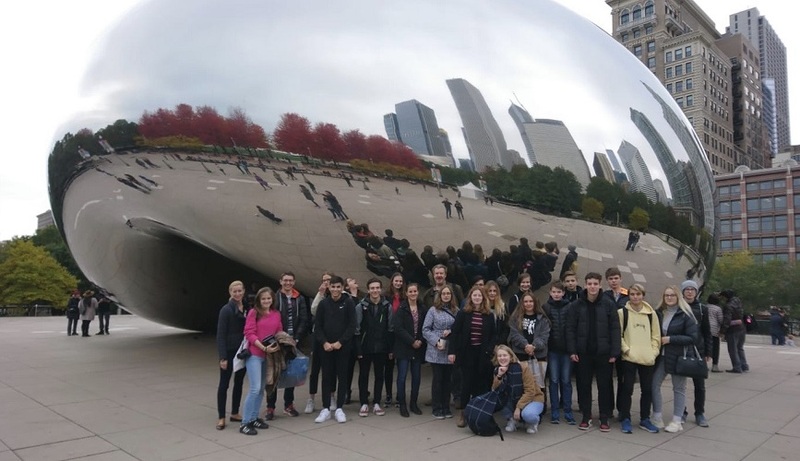 Chicago and Prague have been sister cities since 1990, and for the past 9 years, the Chicago-Prague High School Exchange Program has been one of the cornerstone initiates of the Prague Committee of CSCI. This exchange program, which operates on contributions, has benefited Czech and American students alike. Please consider making a donation to help continue this wonderful education exchange. World Business Chicago is a 501(c)3 non-profit organization and donations are tax exempt to the fullest extent of the law. Kindly indicate your donation is for the Prague Committee Education Exchange in the “Add special instructions to the seller” field.